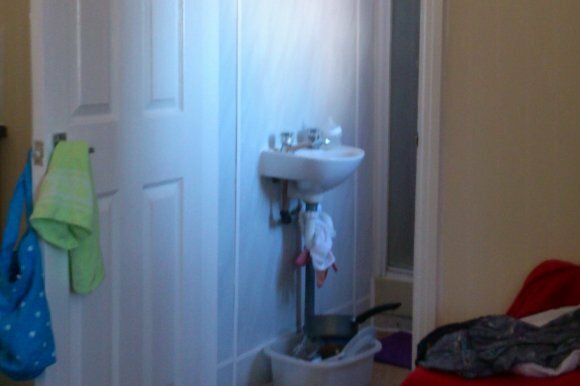 It’s 3 weeks since we wrote the article below about a Bradford-based asylum seeking mother, and her baby being evicted and dumped in Doncaster. Since then SYMAAG and Why Refugee Women? are pleased to announce that she has been moved back to Bradford, to her friends, her women’s group, her baby’s doctor and her community. “Adia” is very happy about being back in her community and away from the slum house in Doncaster which UPM had alloted her. We are too and we hope that the message goes out to other asylum seekers who are evicted and dumped in slums, miles away from their communities: if you resist you can win. How can it be right to force anybody to move away from their homes, support, friends, family and communities? Asylum seekers have already been forced to do this once: that is why they are here. We knew that the privatisation of asylum housing would mean evictions and slum living. We didn’t realise it would start so soon and be quite so squalid. Adequate washing facilities for a mother and her young baby? SYMAAG’s John Grayson looks at the case of a mother and her 12 week old baby from Bradford who were evicted due to the new G4S-run housing contract. 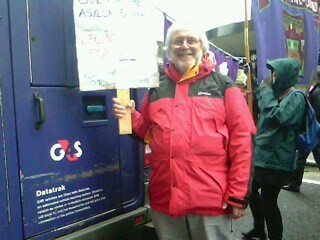 He also looks at the results of the campaign to support her and other people in what G4S call the “asylum market”. John’s article was first published at Open Democracy on May 30th. We meet at Scota Works, Leadmill Road, Sheffield S1 4SE (5 minutes walk from bus and train stations) at 6.30pm. Our guest speaker was Catherine Ramos from the “Justice First” group, a charity based in the Tees Valley in north east England . Catherine talked about what inspired her to write the report “Unsafe Return” about what happened to 17 Congolese asylum seekers who were deported to the Democratic Republic of Congo (DRC) in 2009. Catherine went to the DRC to report what happened to these 17 people, who the Home Office claimed would not face persecution when they were forcibly deported. Catherine found that there were was a pattern of arrests, described by Amnesty International as “systematic”. All 17 people were imprisoned, (including young children and a baby) and physical abuse was common during imprisonment. They received no support from the British Embassy in the DRC, despite requests. A Congolese immigration officer confirmed that the Home Office had sent the names of the deportees to them in advance and that they had been passed on to the Congolese security service, including those of “low level” activists. There were many questions for Catherine, including from Congolese members of the audience. She explained that she had only become aware of the experience of asylum seekers in the UK through meeting people as neighbours, friends and fellow church goers; that she could never have imagined herself going to the DRC, writing the report and now lobbying UK Government ministers. Now that she’d seen something of the life of asylum seekers in the UK and post-deportation there was clearly no going back for her. Catherine urged us to read and distribute the “Unsafe Return” report and encouraged us to promote the accompanying petition which calls for “The suspension of removals until there has been a full inquiry into the safety of failed asylum seekers on return, in order to prevent future ill-treatment of vulnerable Congolese asylum seekers”. SYMAAG Chair, David Price introduced the 2011-12 Annual Report looking at our work in the context of an ever more restrictive and harsh asylum system in the UK. He noted the expansion in the volume and range of SYMAAG’s work since our formation 5 years ago and pointed to SYMAAG’s role regionally and nationally, as well as in South Yorkshire. In the discussion that followed we looked towards continuing our high-profile work in opposing the G4S-led privatisation of asylum housing and other services; finding points of common interest and solidarity between migrants and “host” communities; promoting region-wide campaigning and increasing the involvement of women in SYMAAG. In the elections for Executive Committee and officers, the numbers and proportions of migrants and women both increased. Justice for Marian. No Deportations to Zimbabwe. Marian Machekanyanga fled Zimbabwe in November 2002 as a result of victimisation and mistreatment. As a member of a workers committee in a government department in Harare, she led a protest to the Zimbabwean Parliament against the misdirection of the Government funds to ZANU-PF. She has spent 10 years trying to secure her safety by fighting for the right to remain in the UK. During those 10 years Marian has also continued her fight for the human rights of others. She is an Executive Committee member of the South Yorkshire Migration and Asylum Action Group and Northern District Women’s Assembly of the Movement for Democratic Change and has also volunteered with the Northern Refugee Centre. Marian is well settled in her local community in Rotherham, and is an active member of her local church, Eastwood Mission Church. Despite all the evidence, her asylum application was refused and if she is returned to Zimbabwe, her future safety and well-being will be in great danger. 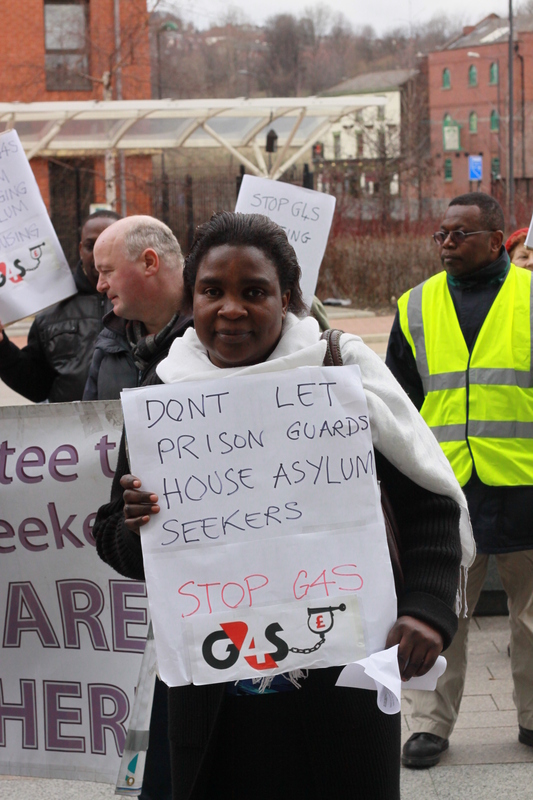 Marian’s fight for justice goes on but she fears that she, like many other Zimbabwean people seeking asylum in the UK, is at risk of deportation to the country where she was persecuted. Marian also suffers from diabetes and it on a strict regime of medication which stabilises her condition. If returned to Zimbabwe there is no guarantee she would have access to this medication, and without treatment for diabetes she would be at risk of diabetic coma and death. SYMAAG believes that the deportation strategy of the Home Office is closely related to the politics of the Zimbabwean “Unity Government”. 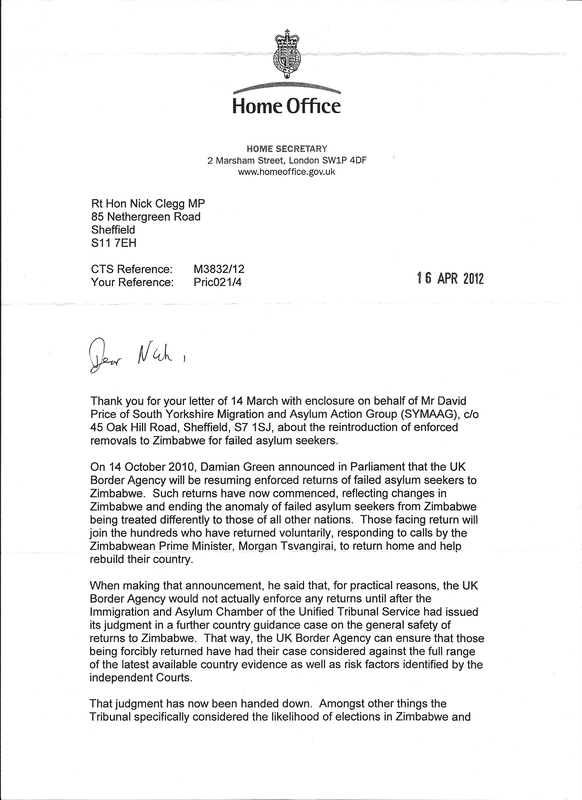 When we raised the issue of deportations to Zimbabwe with Sheffield MP and Deputy Prime Minister Nick Clegg he passed on our concerns to Home Secretary Theresa May (see below for full texts of letters). 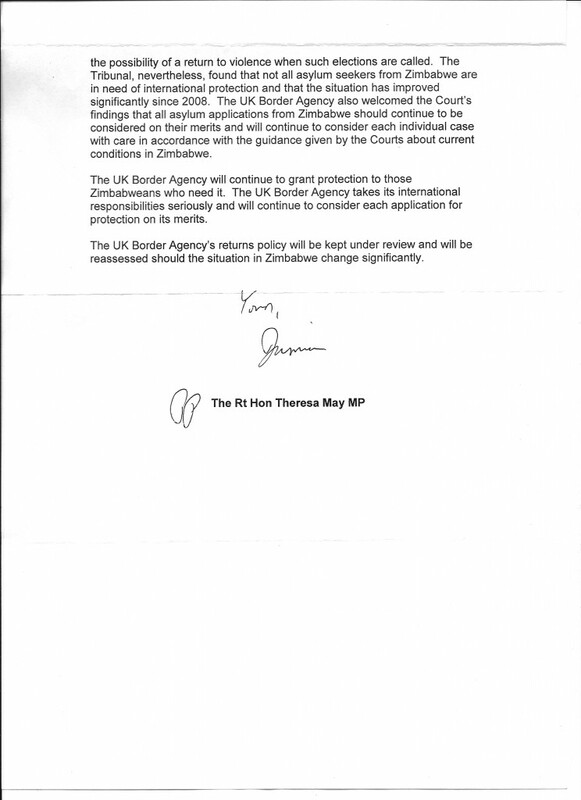 In her response, Theresa May states “Such returns have now commenced, reflecting changes in Zimbabwe (and) responding to calls by the Zimbabwean Prime Minister Morgan Tsvangirai, to return home and help rebuild their country”. How do the politics of Zimbabwe relate to deportations from the UK? How can we stop deportations? Following the SYMAAG meeting “Stop Deportations to Zimbabwe” meeting on May 28th our Chair has written to Nick Clegg.